Your science + our sales & marketing = successful ingredient launch! ingredients to the functional food and dietary supplement markets. Xsto Solutions has over eight years of experience developing a product launch strategy based on product attributes, customer/market knowledge and competitive conditions. Xsto then implements the agreed upon and mutually developed strategy by handling all facets of the product launch thus taking responsibility from start to finish. This process has successfully been used for a number of domestic and international manufacturers. As a result, sales have increased across the board for all of Xsto’s clients. Xsto can provide you with proven Sales & Marketing services without the investment of staff and property. Our focus is to bring a small number of select science-supported nutritional ingredients to the functional food and dietary supplement markets across North America. Xsto increases sales for current products by leveraging existing customer relationships and focusing daily on operational sales activities. Your company can increase sales without increasing capital costs by letting Xsto become your selling agent. Xsto will provide an analysis of our sales strategy as well as an increase in sales calls and presentations. Our marketing efforts will promote advertisement impressions and brand awareness. Xsto is nimble and focused. We understand our key customers’ product lines and category/condition strengths. We pair these strengths with targeted and relevant new product development or technological improvements. Xsto has worked with a number of manufacturers to jointly develop and implement unique new sales and marketing strategies. We specialize in market research for preparation of new product launches for both domestic and foreign manufactures. Xsto’s relationships with both manufacturers and customers can help identify new opportunities and move on them quickly thus giving our partners a competitive advantage. Xsto has proprietary relationships with technology search companies that act as a window to the global nutritional market. Xsto will share these new technologies and products with our partners in different segments where their skills and networks improve a successful product launch or technology transfer. Xsto is able to find new technology through a standing global network of manufacturers and customers. Xsto will seek out strong partnerships with key players in the various market segments driven by technology or product opportunities. Xsto Solutions can handle all your warehousing and distribution needs. Xsto will stock your product in our warehouse for immediate order processing and distribution. All inventory and order tracking is handled by our team of professionals. Xsto will handle the entire process from order receipt & processing, shipping, invoicing, and final payment. Xsto Solutions will represent your ingredients at all the major industry trade shows and market your product through print advertising and online resources. We are marketing experts who know how to get your product in front of the right buyers. All of our marketing and advertising efforts are done in a cost effective manner. Through customer and manufacturer relationships, Xsto has discovered and delivered on opportunities lowering raw material costs in mature product segments. Our vast network allows us to identify market pricing or availability inefficiencies. Our strong relationships with customers allow us to act and provide value on these inefficiencies. Our focus is helping our customers and partner manufacturers grow their business by introducing them to new product, technological, or market opportunities. As part of our relationship, Xsto Solutions can assist your company in raising venture capital. Francis has unique experience in working along the entire nutrition value chain from a global manufacturer with a vitamin focused product portfolio to a national distributor with an extensive 200+ product portfolio. He has held various management positions within finance, sales, new product development and marketing functions. While at BASF Corp., Francis had complete profit and loss responsibility for their $75M North American vitamin C and vitamin B product portfolio. Recognizing how profits and market share were eroding at the tier 1 global vitamin manufacturer he realized the importance of new product development, and found innovative ways to yield over $6.5M in incremental revenue. In a business development role at Pharm-Rx Chemical Corporation Francis was exposed to a much wider cross section of the nutrition market in terms of products, customers and innovation. Francis’s core focus and strength was to identify and partner with new and existing customers and manufacturers to develop profitable niche products. These focused and targeted new product development pitches gave his customers access to new products and technology while broadening the customer base of his manufacturing partners. Prior to entering the nutritional field, Francis served in various capacities with the US Navy/Merchant Marine. Francis earned his undergraduate degree from the State University of New York Maritime College with a B.E in Marine Engineering. He also earned a Masters in Business Administration from New York University Stern School of Business in finance/international business in 2000. Dan’s background incudes being responsible for bringing new supplement products through the regulatory and commercialization process and for sales and technical support of various vitamin product lines and other novel, branded dietary supplement and functional food ingredients. With over 20 years experience in the nutrition and food production business, Dan has worked with products ranging from meat and poultry, baking and beverages, to enzyme and vitamin supplements. Dan has a degree in Animal Nutrition from the University of Kentucky and has previously held sales, marketing and product management positions with Central Soya, Roche Vitamins, Rhodia Food, Lonza and InterHealth. Dan is an industry expert who contributes articles for publications including Nutraceuticals World, Total Health and Health Products Business and Beverage World. 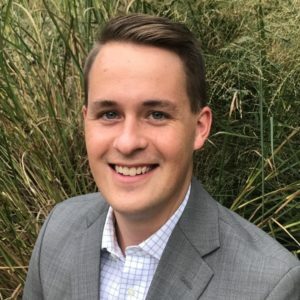 A 2015 graduate of Georgia College’s J. Whitney Bunting School of Business, Nathan previously worked as a sales representative in the highly competitive transportation factoring industry where he consistently grew sales by utilizing industry knowledge and partners. As an active lifestyle and outdoor enthusiast, he is looking forward to a long and rewarding career in the supplement / nutrition industry. 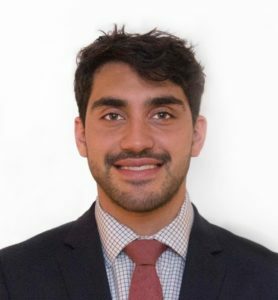 Andrew comes to Xsto Solutions, LLC as a 2017 graduate of Rutgers University – New Brunswick where he studied economics and communications. His past experience in in digital marketing, e-commerce, production, and web-design will be used to help generate awareness of Xsto’s innovative, science supported ingredients. Since 1948, Hamari Chemicals has specialized in the manufacture of APIs and pharmaceutical intermediates. For over half a century, Hamari has been providing custom manufacturing of high quality pharmaceuticals in a reliable and flexible fashion. BRUDY TECHNOLOGY is a research and development (R&D) company founded in Barcelona in 1999 with 100% Spanish share capital. The main purpose of BRUDY TECHNOLOGY is to detect technology requirements in highly diverse sectors such as food, pharmaceutical or nutraceutical.. Please use the info below or the contact form to get a hold of us. We do not accept any unsolicited samples. If you wish to send us a sample, please contact us via e-mail first for approval.